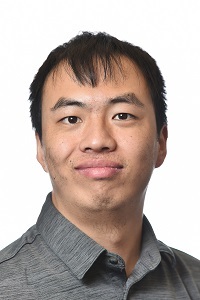 Dr. Xiaodong Chen, a postdoctoral research scientist at Pacific Northwest National Laboratory, has been appointed to serve as Associate Editor for the Journal of Hydrometeorology, a publication of the American Meteorological Society. The Journal of Hydrometeorology publishes research on modeling, observing, and forecasting processes related to fluxes and storage of water and energy, including interactions with Earth's boundary layer and lower atmosphere, and processes related to precipitation, radiation, and other meteorological inputs. Chen's one-year appointment with the journal, which may be renewed after one year, began in March 2018. Associate editors support the journal by providing rigorous, thorough, and prompt reviews, and other special assistance to the handling editors, such as helping make decisions on controversial or conflicted cases. They may review up to 12 papers a year for their journal. Chen's research covers changes in extreme precipitation under future climate scenarios and its implications on the safety of engineering infrastructures. His investigations at PNNL include climate projections of the western United States using regional climate models, as well as how changes in large-scale patterns affect local precipitation and surface hydrological processes. Chen earned his Ph.D. in civil and environmental engineering from the University of Washington, and he is a member of the AMS, American Geophysical Union, and the American Society of Civil Engineers.